Let your imagination take you on a trip from the world of light into Marie-Laure’s unique experience. Close your eyes and listen attentively with your hearing primed to the sensation of sound, as Marie-Laure would, to the music of this French cabaret band. 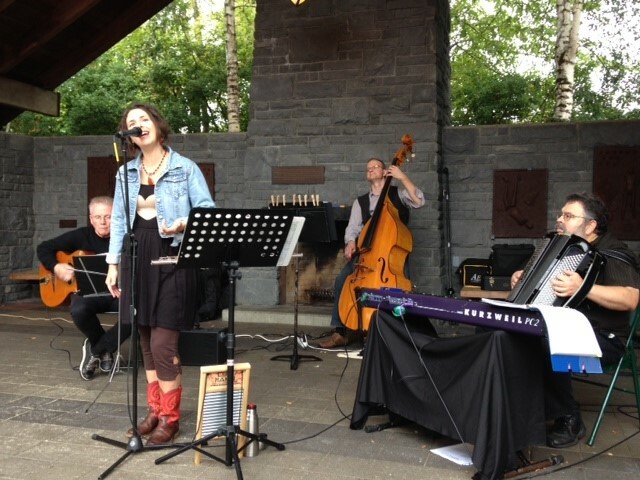 Enjoy the sonorous vocal impressions of Francophile and lead singer Lisa Grimm accompanied by Thomas Niebrzydowski on guitar, Jesse Engum on bass, and Joe Root on accordion & keyboards. Join us as we appreciate the medley of music.